There are many considerations when choosing a domain name for your blog or website. There are also considerations for a name that is going to be for an eCommerce site. Some of these things overlap between a blog and an eCommerce site, but there are a few that a distinctively different. The following are a few of the most important things you need to think about. Whether it applies to a blog, eCommerce site or both. If you are registering a domain name for a blog, some of the factors involved are a bit different that a business site. People will be coming to your blog for news and information, so they are not shopping for anything. 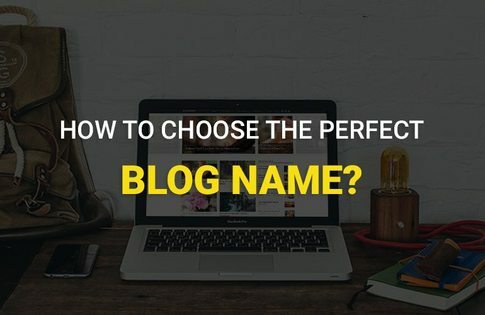 For this reason, you want to have a blog name that is easy to remember. If your blog is well liked, your visitor may bookmark your blog, but the thing to remember is that a user’s bookmarks can disappear. People will upgrade a computer or even lose data because their computer crashes. Even when they have their files backed up, they may not have made a backup copy of their bookmarks. At this point, it becomes critical to have a domain name that is easy to remember, so they can find your blog again. Keep in mind that the shorter your domain name is, the easier it will be to remember. This is critical because people are likely to remember your blog by its most popular keyword. Blogs have a variety of names, and even those blog readers that are fond of a particular blog, may have trouble remembering the name of the blog. They are, however, likely to remember the main keyword associated with the blog. If you can’t find what you want, there may be a domain name available that someone else owns that is for sale. You can buy domain name and get exactly what you want. This is critical for an eCommerce site where the competition can be intense. It will often pay dividends to have a URL that helps brand your company’s name and the products that you sell. Building your brand is fundamental to success, and with an online business, your domain name is critical to your brand. There are many extensions available today for domains, but it is the dot com extension that is the most popular. Therefore, go out of your way to find a domain that is available with this extension. This is true whether you are registering a domain name for a blog or an eCommerce site. People always assume a website URL they are looking for has the extension of dot com, at least for those websites in the United States. A final word of advice is to purchase your domain name from a top rated domain registration site. This doesn’t mean you have to buy your domain name from one of the more expensive domain registrars. There are many low cost registrars to choose from, so you should shop around. If you want to purchase an existing site name, then you should go to the owner directly and inquire about the selling price. These sites, although owned by someone, are not in use for blogging or eCommerce.